With thanks to Tony Ingham. 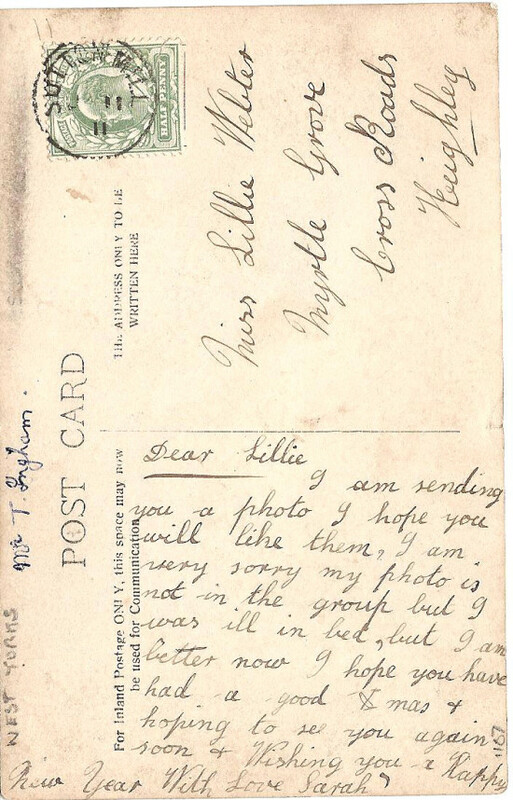 The post mark is Sutton Mill 1911 (possibly 11th January) but the exact location is unknown. In the background are chimney pots, gable and castellated tower that look very much like Sutton Hall Lodge. The girls appear to be Morris Dancers, with decorated hoops. 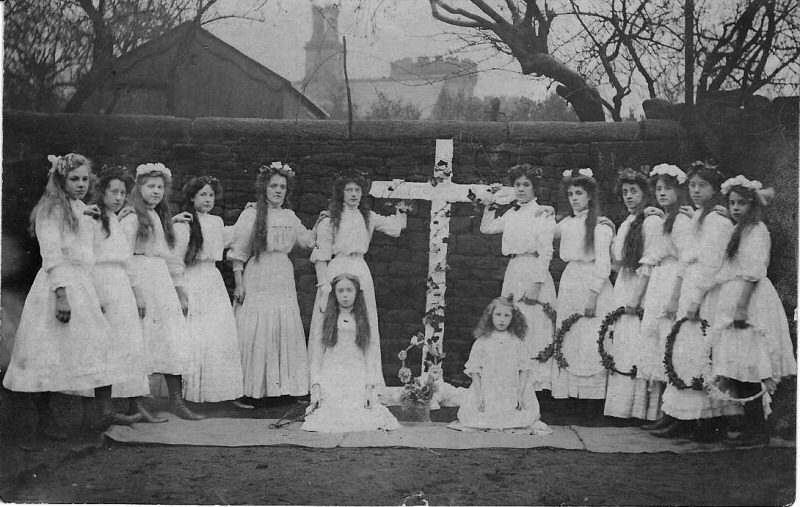 Although the decorated cross is something of a puzzle - perhaps they were part of an Easter parade? The crenelated towers of the archway to Sutton Hall (Hall Drive) and the roof top and chimneys of one of the lodges can just be made out behind the wall. I believe that the photograph must have been taken from somewhere at the back of Overburn (bottom of Ellers Road) and that the wall has since been demolished. The photo may have been taken in Orchard House garden or the Co-op field looking towards Hall Drive. The gable in the picture may be the back of Willie Riley's shop. The Glyn Whiteoak collection numbers 16, 17, 19 give a good idea of the area around that time.